Christians of various denominations, believers of other religions and non-believers have come to the Shroud drawn to that image of suffering and hope, but also to witness to a common desire for peace, rejection of violence, and of hope. 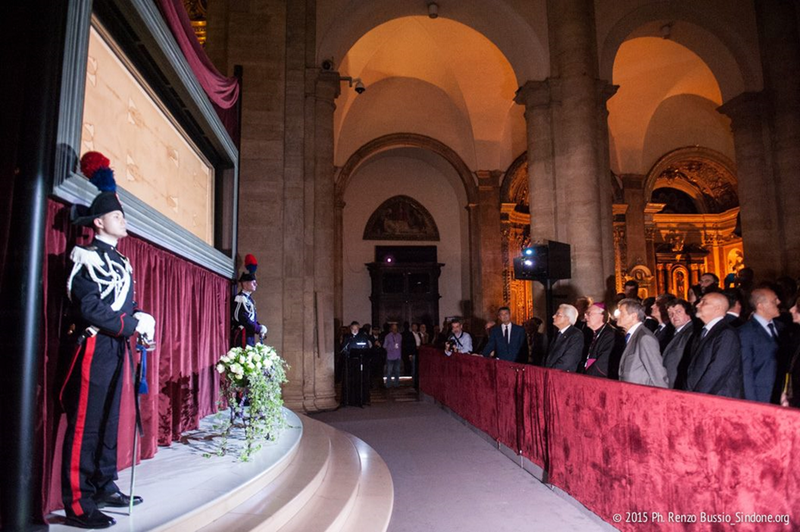 The visit of the Head of State to the Shroud marks a moment of joy for the Church of Turin. The Italian pilgrims account for over 90% of visitors of the exposition, the passage of the President is an important encouragement, and a recognition of how devotion the Shroud is rooted and widespread in our country. But this visit makes honor to the entire city and the whole of Piedmont, the "system Torino" who organized and is building the exposition. A system that involves, together with the local church, public institutions and culture, private companies, banking foundations. Around the group of promoters has formed a broad and varied "movement" of cooperation, support, cultural, commercial and service initiatives. The Torino which is building the renaissance has also found in the monstrance a "catalyst" of resources and energy that allows us to hope. Also because the rebirth of the city can not be only economic: we need a new model of social and cultural development, a new ability to relationships solidarity between citizens. Especially the exhibition of the Shroud enhances quality, that of hospitality, so important to overcome the many divisions that today through the states, peoples and religions. Christians of various denominations, believers of other religions and non-believers have come to the Shroud drawn to that image of suffering and hope, but also to witness to a common desire for peace, rejection of violence, and of hope. Vergy Ancestor , Orthon. De la Roche De Ray / google : Eugene Ray / Turin Shroud ! Well, I tried, Ray, but all I got was the front page of your blog. The word ‘Shroud’ occurs five times there, but I was unable to further my enquiries by reading anything about it or clicking on links. Perhaps you could be a little more informative about your ideas or how to find them if you want us to comment?